Amazon Echo Guide: Will Alexa Work Without Wi-Fi? The draw and appeal of Amazon’s Echo (or Alexa, as it is commonly known) includes a variety of abilities ranging from instant news updates, streaming music, and having questions answered about any topic on a whim! While Alexa is growing more popular each day, there are alternative ways to put your Amazon Alexa to use. Amazon’s Alexa is a device that strictly revolves around WiFi to access everything from Google to various music-streaming services. Without WiFi it is simply impossible to connect to these applications and features. 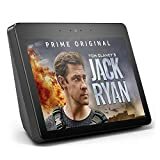 In order to make the most out of your Amazon Alexa investment, a Wi-Fi connection or hotspot must be available to get started and to take advantage of all that the device has to offer. As it stands right now, Wi-Fi carries over 60% of the world’s internet. Wi-Fi stands for wireless fidelity and it’s just a different way of saying WLAN which means wireless local area network. Wi-Fi uses wireless radio frequencies to send signals to and from wireless devices. As opposed to a no wifi radio which uses kilohertz and megahertz, Wi-Fi uses Gigahertz frequencies. If you want to break down even farther, Hertz (Hz) is just a unit of frequency. One Hertz is equal to one cycle per second. So one GHz is equal to one billion cycles in one second. If you are wondering, “does echo dot have to be plugged in?” that answer varies between power and connectivity. 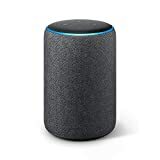 One possible way to utilize Alexa without internet access or a steady Wi-Fi connection is by putting your device to use as a Bluetooth speaker. However, to get started, you must first at least have access to a WiFi connection for the pairing process. If you do not have WiFi in your home or while you are traveling, consider opting for a public WiFi location or a venue that offers hotspots for those who are on the go. Always be sure to use any WiFi connection you choose as securely as possible to keep your personal and private data safe and unavailable to potential hackers or malicious individuals. Open the Alexa application on your smartphone, select your menu, and choose “Settings”. Select the device you would like to pair. Select a device from the list, then select “Forget”. Repeat this step for all other Bluetooth devices on the list. After your Alexa has successfully paired with your Bluetooth device(s), you can then begin using Alexa as a second speaker to stream music, podcasts, and other audio material you have saved onto your device. 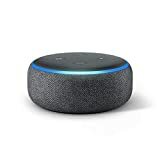 If you are seeking additional services and features that Alexa has to offer, it is important to remember that a WiFi connection is necessary, as Amazon Alexa focuses on the ability to connect in order to maximize what it has to offer. If you choose to opt for WiFi in the future, be sure to do so with a secure connection that is safe and reliable. Looking for new ways to add a layer of security to your home and electronics? Contact Protect America today to learn more.